WASHINGTON -- Julián Castro, who was on a short list for Hillary Clinton's 2016 running mate, is heading to the first primary state of New Hampshire for a speech that could start his path to a 2020 run. 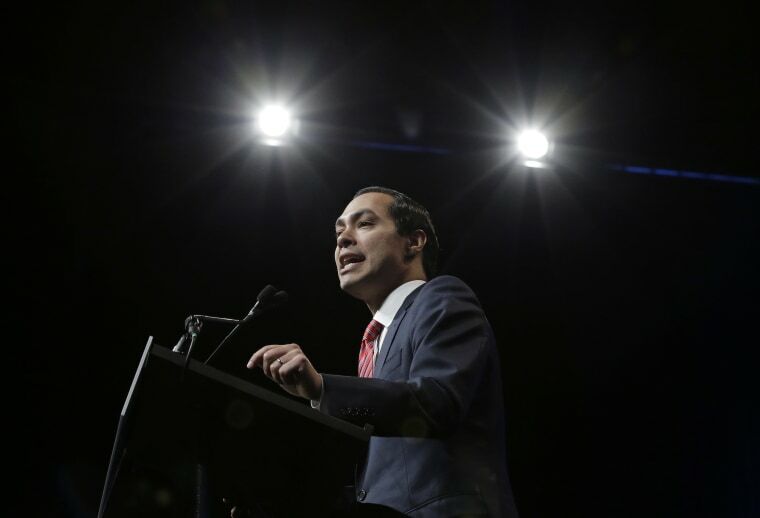 Castro, the former Housing and Urban Development secretary under President Barack Obama and the former mayor of San Antonio, will be the headliner at the New Hampshire Young Democrats 2018 Granite Slate Awards Dinner. Castro, 43, has been up front about his interest in a run for the nation's highest office. He formed the Opportunity First political action committee last year and publicly launched it this year. "I have every interest in running" in 2020 for president, Castro told NBC News. "Part of the process of figuring out whether I'm going to run is going to listen to folks and feel the temperature" of voters." During presidential elections, New Hampshire is the first to hold a primary. Iowa precedes it with its caucuses. For now, his aim and that of the PAC is to help elect Democrats to win seats in state legislatures and to help the party win back the U.S. House majority, he said. "I'm going to spend my time in 2018 making sure that great young progressive candidates get elected. I've been very impressed with the ground work the New Hampshire Democrats have done getting young people to step up, supporting candidates to take back important seats," he said. Castro sees urgency in the work of expanding Democratic control at the state and federal levels with President Donald Trump in the White House. "This guy is taking the country in the completely wrong direction and he's hurting people while he's doing it. I have a completely different vision for the country and this seems like an important moment to turn things around," Castro said. Lucas Meyer, New Hampshire Young Democrats president, said the organization's annual dinner is its largest event of the year and its largest fundraiser, as well as a night to recognize the state's young progressives. Usually the event attracts 100 to 125 people a year, but there has been so much interest in the event this year, it was moved to a larger location at the Institute of Art in Manchester, New Hampshire. Tickets cost from $30 to $2,500. "Traditionally we have not had a big name speaker come ... but after the 2016 elections there's been a lot of energy, a lot of enthusiasm, so it's grown," Meyer said. "The dynamics of this country have so dramatically shifted since Obama, and you have a lot of young people looking to run for office." Castro was 26 years old when he was elected to the San Antonio City Council. His twin brother Joaquín Castro is a member of Congress. Since leaving Washington, he's been working on his memoir and teaching at the Lyndon B. Johnson School of Public Affairs at the University of Texas at Austin. Meyer said Castro is an inspiring young leader in the party who is "speaking the language young people speak and connecting on those issues." But the possibility that he may be taking on Trump in a few years has also helped stir excitement over his speech, Meyer said. "It's New Hampshire," he said. "It's hard for anyone to come to the state without the speculation swirling and he's not being shy about that." Last week, Julian was one of several speakers at a Latino advocacy gathering in Washington, D.C. Organizers greeted him with "Castro 2020" projected on a screen.